While computers have advanced over the years both in terms of in processing power and memory, all PCs require regular maintenance to keep it operating at a peak state. This especially true when playing games, as these often require all the resources your computer can spare during a very intense period. It is a common perception that you need the very latest graphics card and processor to run demanding computer games. However, there are many temporary tricks and system tweaks that can be applied to even modest computer hardware, towards a better game experience. Monitor's refresh rate is measured by the number of frames drawn on your screen. A monitor's refresh rate is the actual targeted speed for any game. Usually a LCD monitor run at 50 Hz or 60 Hz or 50/60 frames a second. Right click on the desktop and click properties. Then go to the settings tab and click advanced. Then click on the monitor tab and it will tell you what frequency it's running at. Though every game is unique with its own features, they all share a common video configuration or options menu. You may find this menu in any game just open it and search for this option. You need to set the frequency that is compatible with your monitor. VSYNC is another option to improve fluidity of graphics and motion. If this is available in the computer game, it should be enabled. VSYNC synchronizes the game's frames with the monitor's refresh times. This improves motion quality and reduces load on your graphics card which has to scale up or scale down the frame rate to match your computer monitor VSYNC is not enabled or available. VSYNC has no ill effect on your PC's normal functionality and is safe to enable. 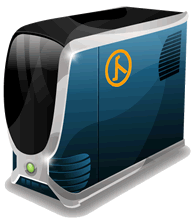 Game Booster is designed to accelerate PC performance for an enhanced gaming experience. Even if your computer is a few years old, it can significantly improve its gaming performance. Game Booster includes behind-the-hood enhancements of your system. It can free system resources from unnecessary system process and memory clogging applications. It can optimize your system's memory and CPU to deliver an enhanced gaming experience without lags.